At about 6.30 PM on the 26th of July 2012, the ever-busy Kashipur Chowk stood still and took notice as the students walked with candles in their hand celebrating Vijay Diwas, the day India won its last war with Pakistan in 1999. Students took time away from their classes and schedules to pay tribute to all the brave souls who perished in the war a little more than a decade ago. The Students started the walk from the Kargil Shahid Vatika and headed towards the Main crossroads where they placed the candles in front of the Maharana Pratap statue. The students also held up posters showcasing the sacrifices and heroics of the soldiers who fought valiantly only so that the rest of their compatriots could lead peaceful lives. The objective of the march therefore was to remind one and all that their role has not been and will never be forgotten. The fact that the vehicles at the crossroads were not blaring their horns in their usual way is proof of the fact that the message was sent through the silent march, Loud and Clear. 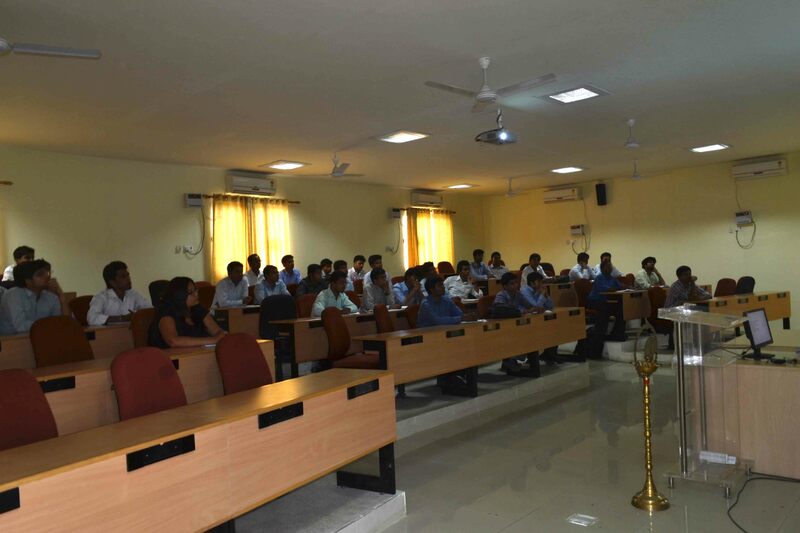 A two-day workshop on Career Planning and Design was conducted on 24th and 25th of July at IIM Kashipur for the benefit of First year students. Mr. Subhajit Mazumder (Senior Consultant at Ernst & Young). Mr. Anamitra Chatterjee is an alumnus of the London School of Economics (LSE), UK where he studied Economics as a British Chevening scholar. He holds a PGDM from IIM, Calcutta. He held the positions of Head-Human Resources (HR) and Head-Learning & Education (L&E) in PricewaterhouseCoopers (PwC) India. He had a long stint at Deutsche Bank AG in client relationship m anagement. 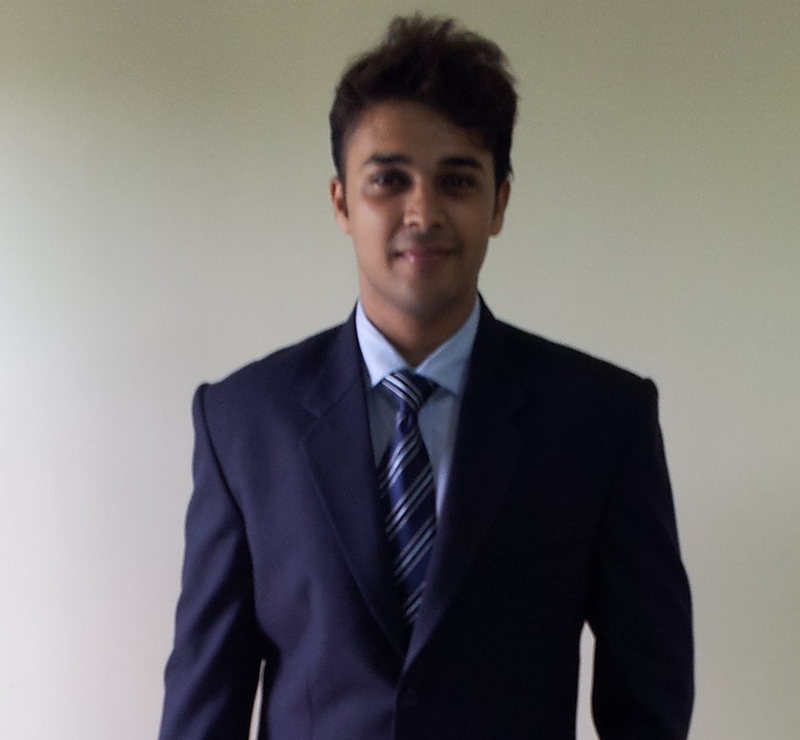 Mr. Subhajit Mazumder is a management consultant with several years of experience in E&Y and PwC. He has rich and diverse experience in the areas of business strategy formulation, process transformation and IT enablement. He is a regular speaker at IITs, IIMs and Industry forums. The workshop mainly focussed on self awareness and identifying one’s natural inclination to any specialisation in management. The session on day one started with a Belbin test. Belbin test evaluates and rates a participant on various roles called as Belbin team roles and helps in identifying ones suitability to a particular kind of role. The day was followed by knowledge sessions on Consulting, IT, operations and HR. These sessions provided insight on the kind of profiles offered to MBA students for summer internship and final placements. The character traits required to excel in each of these fields was also discussed. Afterwards, sessions on Group Discussions were conducted. The session sensitised the students on what to do and what not to do in a Group Discussion. Day Two of the workshop began with a Career Development action plan. It focussed of constructing a Positioning statement, which would best describe our past, present, and logically connect it with the future aspirations. Thereafter, Knowledge sessions on Finance and Marketing sectors were conducted. The sessions focussed on the career options within these broad sectors and enlightened students on some very basic things such as the difference between Finance & Commerce; and the difference between the roles of MBAs & CAs in financial services firms. The day concluded with mock interviews and analysis for the summer internships. The workshop gave the students a new perspective on managerial roles and responsibilities pertaining to different sectors. It also gave the students a chance for introspection, making it easier for them to choose from myriad career paths. The workshop programme was a huge success and will surely become an important part in moulding the success path of IIM Kashipur students. 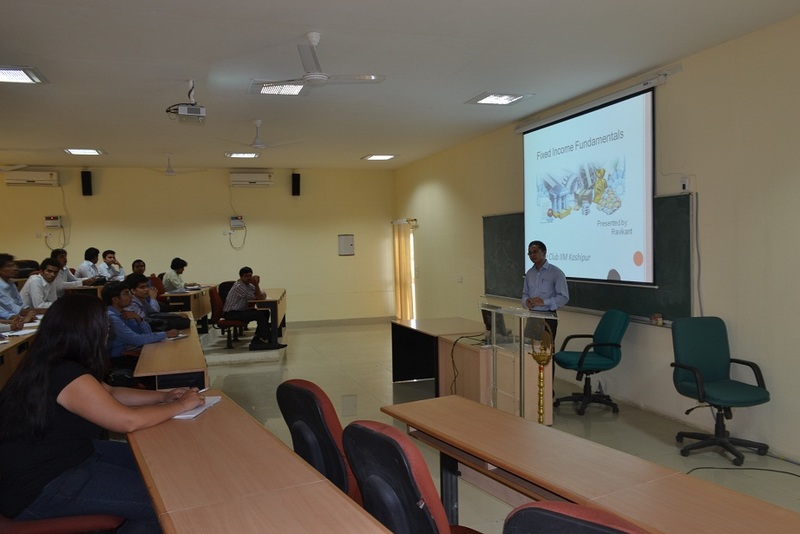 The Finance Club – IIM Kashipur started its activities in its second year on 1st July’12 with the introductory session for the fresher batch by Pulkit Taluja, 2nd year student and CFA Level III Candidate. He began the session with vision and mission of finance club at IIM Kashipur. He gave an overview of different areas in finance like, Asset Management, Investment Banking, Corporate Finance, Project Finance, Equity Research etc. In the process, he also introduced some basic terms of finance to the audience. He acquainted the participants with terminology and analysis of financial statements. Lastly, Pulkit talked about the responsibilities of a finance club member and how the association with club can help them in staying abreast with the latest in the financial world and build their competencies in financial arena. In continuation of the series of knowledge sharing sessions, Ravikant Sharma, 2nd year student has an experience of working with a hedge fund client, delivered the next session on Financial Markets. We covered Bonds and Securities markets, Primary Market, Secondary Market, Stock Exchanges, Sentiments of investors, Credit Rating etc. Utilizing his experience, he used real time examples to make the learning effortless and interesting. The sessions were followed by a quiz to test the caliber of students and their understanding from the two sessions. Harsh Patel, 1st year student, topped the quiz. 1. Why and when did you decide to do MBA? What is your plan after you complete your MBA? It was the end of my second year in graduation when I first asked myself, “What do I want to do in life?”, and that’s when I started dreaming of having a business of my own. But not having a business background and considering the risks involved, I put my plans of entrepreneurship on hold. After completing my graduation, I decided to gain some work experience and plan my entrepreneurial voyage alongside. But a mere six month’s tenure with a MNC was enough for me to confirm that I don’t fit the 9 to 5 culture. My discontent with the job added to the temptation of diving headfirst into entrepreneurship. But the previous apprehensions stopping me from starting a business still prevailed. I needed more time and guidance to come up with a business plan. After much deliberation, I resigned from my job and decided to study management. An MBA offered me two years of planning, highly competitive environment, guidance of faculty and invaluable management skills. I plan to be ready with an actionable business plan at the end of these 2 years and launch the plan after passing out. 2. How did you start the preparation and what was your overall strategy? Overall Strategy: Instead of going through the list of topics and preparing each of them separately, I based the preparation primarily on the analysis of my performance in mock tests. After the analysis I targeted only the weak areas. Verbal Ability: If you are a habitual reader, you can read, analyse and assimilate any text faster than others. I used to (still do) read a lot and continuously evaluated my approach towards VA problems by comparing my thought process with the mock test solutions given by coaching institutes. *My opinion on vocabulary preparation: Either add 1000 or more words to your vocabulary or none. There is not much benefit in going half way. QA and DI: (I am an Engineer): Rather than spending my time on understanding the shortcuts given by coaching institutes, I used to put in efforts to solve as much questions as possible on my own. This way I discovered my own shortcuts, which I could never forget during exams. LR: No strategy in particular, I practiced as much as possible. 3. Please share your WAT/PI experience in detail. WAT Topic: Capitalism is dead and Socialism is here to stay. General reading and awareness helped me give a well informed answer. PI: I was asked about my future plans and subsequently about entrepreneurship. Some questions on IPR laws and trademarks as I had a subject on Social and Legal issues in graduation. Some questions on graphs and quadratic equations were also asked. 4. Which institutes offered you final admission? Why did you choose IIM Kashipur? Preferred Kashipur over IMT due to the prestige associated with IIMs. Chosen Kashipur over Raipur considering the small batch size of 40. I firmly believe that a large batch size dilutes the quality of education. A batch size of 120 at Raipur was a turn off for me. 5. Do you think it is possible to crack CAT without taking formal coaching? What would you suggest the CAT 2012 aspirants who would like to prepare by themselves? Yes, I do believe that one can ace CAT even without any formal coaching, but appearing for mocks is compulsory to gauge your preparation. See the answer to question number 2 for more details. 6. CAT saw a major change in the format & pattern in 2011. How did you prepare for it? Did this new pattern cause any hindrance in your preparation or exam taking strategy? I found the new pattern easier as I had to worry about clearing only two cut-offs instead of three. Also, I felt that the probability of giving a better performance increased as the probability of good performance of a prepared candidate increases with the number of questions. In 2010 and earlier formats, we had to find solvable questions among 20 questions and repeat the process three times. In 2011, it was easier to find solvable questions among a larger bank of 30 questions and repeat the process only two times. 7. What was your strategy for time management? The new pattern made the time management easier as we were now forced to spend equal time on the two sections. For solving the individual sections, I followed the traditional advice. Quickly skip over difficult questions and solve the easier questions first. 8. What is your message for the MBA aspirants who will take CAT 2012 and other exams of the season? Solve and more importantly analyse as many mock tests as possible. I found the reverse flow of preparation i.e. first giving mock tests and then preparing the weak topics to be much more time efficient than first preparing all the topics individually and then giving the mock tests. And most importantly, keep your calm on the D-day. Surrounded by gaunt oak and pine which embellished the mountains, engulfing us on all four sides, at the onset of the most pious river as its sparkling water scurried through myriad colored stones, on verdant grassland meanderings which no man made carpet could have come close to, inhaled air so pure, cool devoid of any other element, forget about toxics, were we. Were we in Heaven? The same feeling reverberated in our minds when we (IIM Kashipur students) went on a team building exercise to a place 6 kms. from Rishikesh, Uttarakhand. The occasion too could not have been better, marking the end of induction of our new batch. After taking a feel of “what it takes to be(survive) in IIM” 5 day induction program, the excursion not only acted as an ice breaker but also offered bonding opportunities for both PGP’13 and PGP’14 students. The daily routine in an IIM is exhausting. Intense debates on virtually any issue, intense case discussions, race to make best projects, assignment (unsolvable) completion, possibility of a surprise quiz, plethora of co curricular activities , intensely fought sport games etc. can be exhausting. On top of this the expectation and desire for excellence and the competitive spirit, which by default are an integral part of IIM Kashipur life can lead to tired and jaded feeling to anyone. But we are fortunate to be in an IIM which lays at the crossroads of several tourism spots. Be it a 30 km drive to Jim Corbett or 80 km ride to nainital, the weekends in IIM Kashipur comes as a fresh breath of air. Rishikesh trip was no different. The beautiful morning offered an ideal start for mountain trekking. After a light breakfast the students undertook river-crossing training followed by rock climbing session. The training immediately came into use when due to heavy outpour the river started overflowing. Stranded on the wrong side students bravely crossed the water flowing at a high speed. The heavy rains finally stopped and paved way for a balmy evening where we undertook excursions to two waterfalls. The mesmerizing scenic beauty struck everyone and detached every bit of tired ness. As the sun faded away behind the clouds we knew it was time to move ahead and conclude this journey. Everyone enjoyed this short but eventful trip where they felt how hard work and fun is part of nature and how it became the culture of IIM Kashipur. “When the going gets tough, the tough gets going” is the philosophy deeply ingrained with the brand IIM. The very onset of the two-year long gruelling process begins with the Induction Program. Five day Induction Program designed by Team INSITE (an initiative of MPRC, IIM Kashipur) was majorly responsible for initiation of transformation of a careless, sleep-loving normal guy to an effervescent and responsible budding manager. With numerous sessions conducted by various active committees and clubs of IIM Kashipur along with the academic rigour, a newbie finds himself taken aback in the beginning itself. Gradually as reality bites deeper it grows into you and you start respecting your decision even more to choose to be a part of the IIM Kashipur fraternity. The day long gruelling process started from 5 AM and continued till 2 AM, which was followed by assignment completion to be submitted the next day. This process marked the beginning of the journey to become a successful manager for PGP’14 batch of IIM Kashipur. Strangely though, this was as fun as it was hectic. What made this process interesting was that the sessions were not just limited to academia but also gave importance to team building and personality development activities. Morning clubs & YOGA session in a B-school was a great source of learning. Yoga session explained how very small thing in life make big differences if one is punctual. In the afternoon sessions, students were exposed to real-life challenges and were given an opportunity to “do and learn”. For e.g., to give the students a feel of sales and marketing, students were assigned a task to sell 2 kg mangoes at the highest possible price in the Kashipur market. Other activities included quizzes and team-building sessions. The evening time was no less tiring for the students, as they were kept busy preparing for group assignments, ADMad competition, skits and presentations. The idea was to give the students a glimpse of the next two years but in a fun-filled manner. The five day induction program concluded with a surprise trip to Rishikesh organized by Team INSITE. The aim of this outing was to facilitate interaction between PGP’13 & PGP’14 batch. The trip was a fun filled experience with activities such as trekking, rock climbing, rappelling and was enjoyed by all. With these five days of hard work and fun, team INSITE successfully achieved their intent of providing students a feel of “life at IIM Kashipur”. Mr. Rakesh Sharma, Principal Secretary of Technical Education, Uttarakhand was the Chief Guest at the Inaugural ceremony for the second batch (2012-2014) of the PGP program at Indian Institute of Management, Kashipur. During his association with education, Mr. Sharma has laid emphasis on setting up of premier institutions like IIT’S, NITs and IIMs. Mr. Sharma’s association with the institute goes back to the foundation year as he had an instrumental role in setting up the IIM at Kashipur. In his address to the students, the chief guest, Mr Sharma, told the students of the various decisions taken before setting up the IIM at Kashipur. He expressed belief that this decision would help put Kashipur on the world map. He also enjoined the students to take up projects and make recommendations as regards to the development of this industrial town. On the whole, Mr. Sharma made every student in the hall feel proud and special for being part of the institution. He made them aware of the role they had to play in shaping the future of the country as future managers. He also urged students to take up entrepreneurship with a social responsibility. Furthermore, Mr. Sharma delivered encouraging news in the form of major development plans for Kashipur. He spoke of development plans for a helipad to improve connectivity to this place, citing similar successful examples taken in the past. He also announced that a 200 acre campus was under construction as a permanent location for the Indian Institute of Management. Towards the end, Mr Sharma reminded the students of the responsibility they had towards the development of the youngest of the IIM, as much as developing themselves. He made them believe that, they being brilliant young minds of this country have the potential to do it. He also offered his full support towards development of the institute. Mr. Rakesh made sure that every student left the hall with a sense of pride, responsibility and confidence. Student put their creative hat to make impressive TATA Salt AD. Student develop technology Clock for product innovation. -2011), this will be the second batch of students at IIM-KP, the institute having commenced operations only last year. The students were welcomed by the director of the institute, Mr. Gautam Sinha. 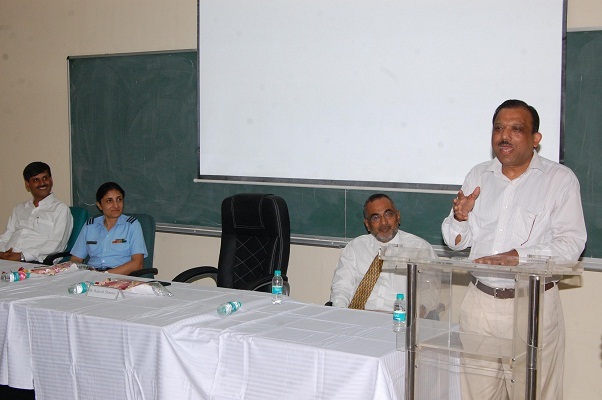 The Chief Guest at the event was Mr. Rakesh Sharma, Principal Secretary of Technical Education, Uttarakhand. Mr. Sharma’s association with the institute is quite prominent as he was instrumental in setting up the IIM at Kashipur. Wing commander Anupama Monga Vij also graced the occasion. The proceedings for the day started with the new students taking a pledge of conduct, value and dignity, both personal and those of the institution. This was followed by the lighting of the lamp by the Chief Guest and the Director. Mr Sinha, speaking on the occasion talked of the necessity to ‘deglamourise’ MBA. He cited the example of the current market situation vis-a-vis banking and financial sector and advised students to look beyond these current trends and focus on Rural Management. Emphasizing that management graduates must now able and willing to get their hands dirty and reach out to the rural masses in search of future growth. He also spoke of the need for today’s generation to possess multiple skill sets in order to be able to perform well in the corporate world where the hierarchy has changed from a top-down approach to a more linear approach with large amounts of networking involved. He also talked of plans to raise the standard of IIM Kashipur in order for it to be on par with the older IIMs and expects to increase the number of permanent faculty at the institute, with most of the current faculty being on loan from IIM Lucknow, its mentor institute. Furthermore, Mr. Sharma spoke of major development plans for the town of kashipur. He spoke of development plans for a helipad to improve connectivity to this place citing similar successful examples taken in the past. He also announced to the students that a 200 acre campus was under construction as a permanent location. The students at IIM have been on campus for the last three days and are in the midst of an induction process. The batch comprises about 40 students and has a healthy mix of engineering, commerce and arts. A certain proportion of the students are also freshers. The students are from all over India thus contributing to the diversity factor. The day’s proceedings were concluded with a vote of thanks by Dr. Navneet Kaur who is a faculty at IIM Kashipur.